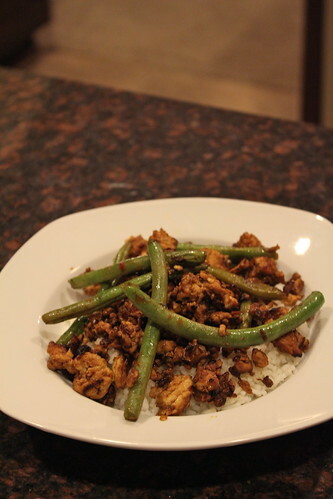 Who knew that ground turkey could taste delicious in an Asian dish? I've been a ground turkey fan for a while, but even I was skeptical about using it in this recipe. But oh my goodness... it's just so yummy! You'll need a few weird ingredients from the international aisle at the grocery store (hoisin, chili garlic sauce, seasoned rice vinegar), but I think it's worth buying them... you'll want to make this dish over and over again, and there are plenty of other yummy recipes to use them in! 2. In a large skillet, heat sesame oil over medium-high heat. 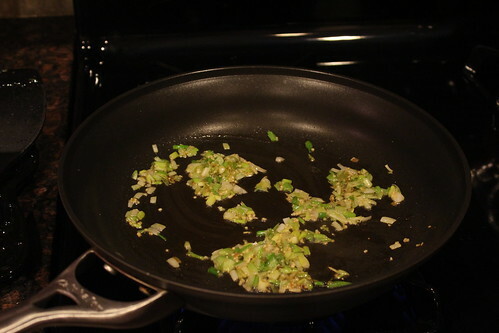 Add green onions and garlic and saute for 2 minutes. 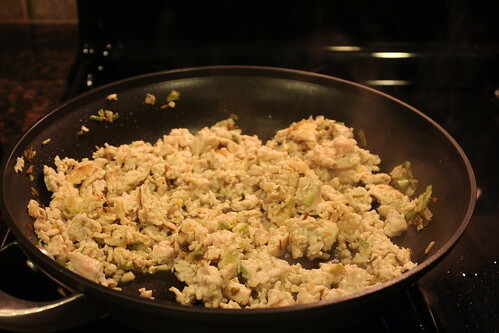 Add ground turkey and saute for 5 minutes, separating into pieces with a spatula. 3. Add in chili garlic sauce, hoisin sauce, and ginger, and stir until mixed. 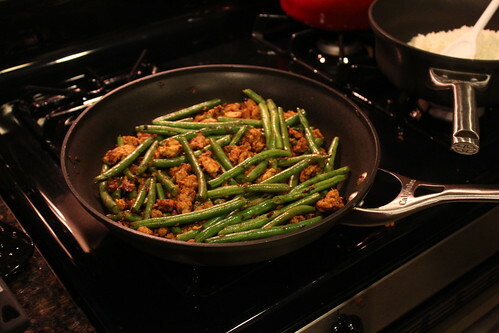 Add green beans and soy sauce and stir. 4. Cook until green beans are slightly tender (about 10 minutes). 5. Add in rice vinegar and allow to cook for one more minute.